Hi! I’m La Gringa Novelera, also known as Karen Kerbis! Thanks for stopping by. 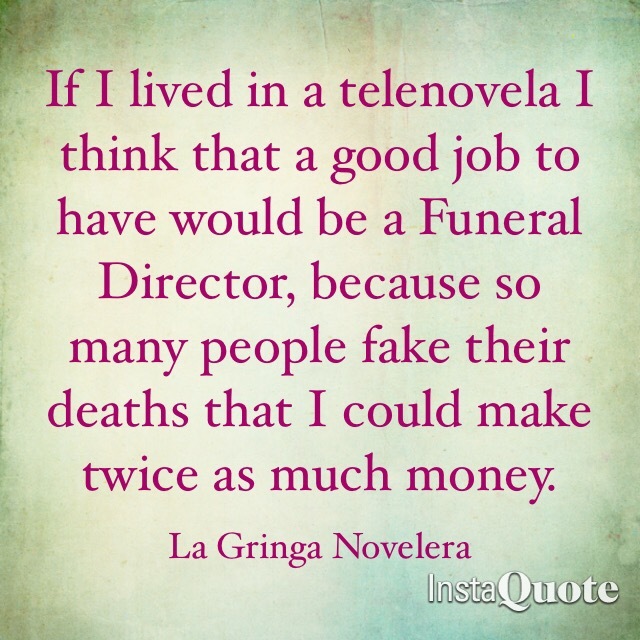 I am in Chicago, and I am learning Spanish from telenovelas, and that plan bought me a one-way ticket to Novelaville!! Please join me here, on my website at www.lagringanovelera.com, Twitter and Instagram @gringanovelera, or LIKE my Facebook Fan Page – LaGringaNovelera! And you can always send me a Friend request on Facebook at Karen LaGringaNovelera!